Dr Bobby Smyth, a child and adolescent psychiatrist working with teenagers affected by addiction, speaks to Niamh Cahill about the need for greater awareness of the dangers of cannabis use. This article appeared in the MedicalIndependent.ie on 24/01/2019. More than 40,000 Irish people are addicted to cannabis in Ireland yet societal attitudes towards the drug are softening. 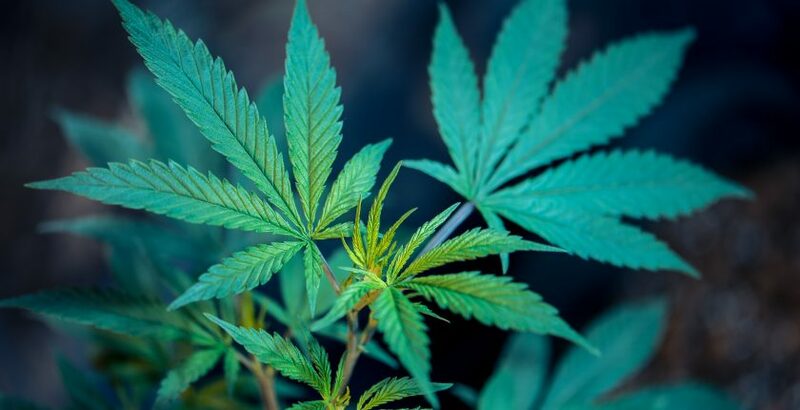 Around a decade ago, cannabis would have been the main drug in just 30 per cent of presentations, according to Dr Bobby Smyth, a child and adolescent psychiatrist specialising in addiction in Dublin. Between 2006 and 2009 cannabis referrals related to hash and tended to cause “low level concerns”. “Objectively, their lives weren’t massively affected by their drug use,” Dr Smyth told the Medical Independent. But this began to change over subsequent years as the chemical make-up of the drug altered to become more addictive and harmful. The departure of hash and the arrival of weed has meant “we are dealing with a completely different drug”, Dr Smyth said. The chemical constituents of hash and weed are broadly similar, but the two key cannabinoids that doctors pay attention to are known as THC and CBD, Dr Smyth explained. The drug that led to the creation of Dr Smyth’s role was heroin, which was a huge problem in the 1990s. At the point of treatment entry those addicted to heroin would spend about €50 to €60 per day on the drug. Unlike heroin, which was largely confined to lower socio-economic groups, cannabis use is affecting all classes nationwide, according to Dr Smyth, who deals with about 200 young people every year. Around 80 per cent of cannabis clients are male and 20 per cent are female. This is compared to a relatively equal split among males and females presenting with alcohol addiction. Dr Smyth believes an unfortunate but deliberate and orchestrated side-effect around the push to promote and introduce medicinal cannabis has been to soften attitudes towards cannabis. There are some organisations sponsored by the cannabis industry that want to legalise cannabis in Ireland and are actively trying to influence Government policy by supporting campaigns that result in a softening of public attitudes towards cannabis and drug use, he maintained. “People then get used to the fact that this is here and available and wonder why isn’t it legal,” he explained. Groups who want to legalise cannabis fund the medicinal cannabis agenda because of this as it leads to the same endpoint, inevitably, he argued. Dr Smyth also believes a public information campaign is urgently needed to inform people of the incredibly harmful effects of cannabis use. He said he has been left completely “taken aback at where things are going and the softening of attitudes towards cannabis” considering the devastating impact it can have on people. In addition to increased awareness, Dr Smyth believes more staff are required to work in addiction services to boost resources for those seeking help for their addiction. Compared to international literature, the findings are consistent “with what seems to happen”, Dr Smyth said. One of the reasons for this is that teenagers who attend addiction treatment, no matter what the drug, tend to be less motivated than adults, he said. Adults will self-present, but teenagers are usually brought to treatment by someone.